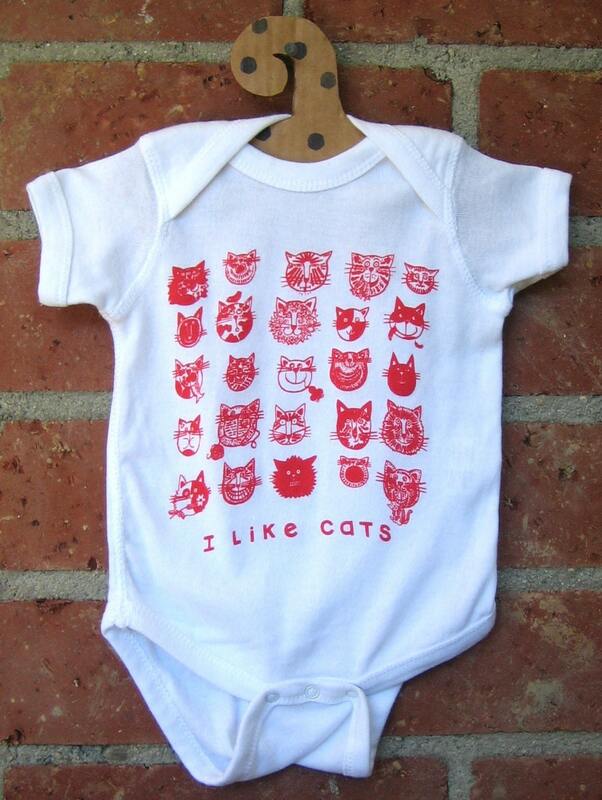 Cats in bright red sharing their fun personalities for baby to wear and share. 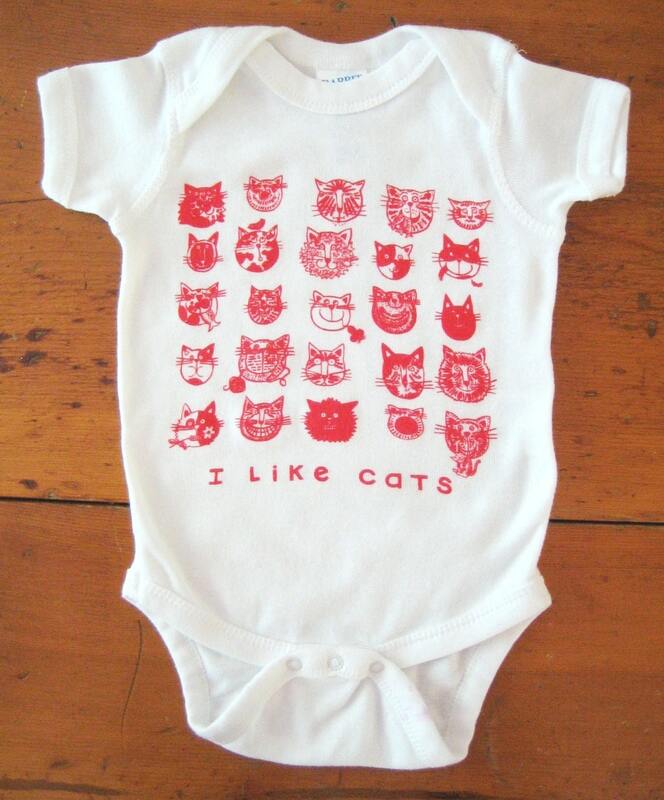 Printed from original watercolor design on 100% cotton, white, Baby Bodysuit. Sleeper is very soft, nice and stretchy. Please say size you prefer at checkout, 6 months or 12.